Browse the largest online collection of diamond rings for women. 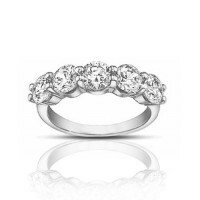 We carry a wide variety of diamond wedding bands, eternity rings, and engagement rings - available in 14k, 18k gold, or platinum. 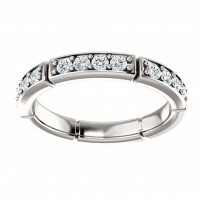 All rings are in stock, available online for purchase and reassured by our 30 day full money back guarantee. 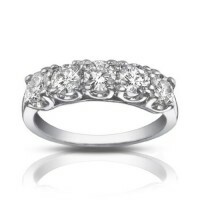 A row of sparkling round diamonds is prong-set in a band of 14K white gold in this extraordinary dia.. 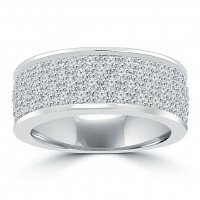 This handset on this 14 karat ring with the exciting pave method ensuring that there’s nothing .. 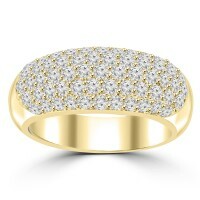 This handset on this 14 karat yellow gold ring with the exciting pave method ensuring that ther..
A stunning diamond ring will make your next anniversary memorable and our everyday low wholesale pri.. 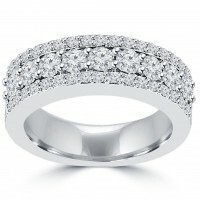 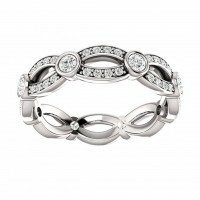 Her hand will sparkle and her smile will brighten when you slip this lovely five stone diamond ring ..